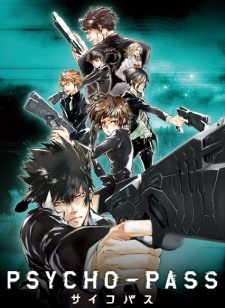 Psycho-Pass is an original anime series that ran from October 2012 until March 2013. The series itself is very cerebral as it mixes together the genres of drama, action, cyberpunk, and science-fiction put together. 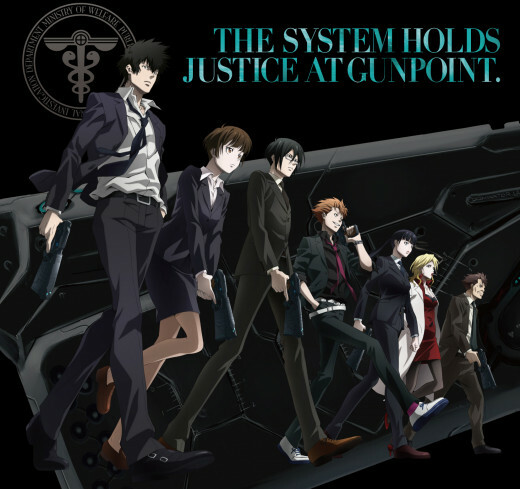 If you enjoyed watching series such as Cowboy Bebop, Ghost In The Shell, Appleseed, Ergo Proxy, or Witch Hunter Robin, then Psycho-Pass is a series you want to consider giving a chance. It kind of has similarities to these series, but, Psycho-Pass strongly stands on its own. 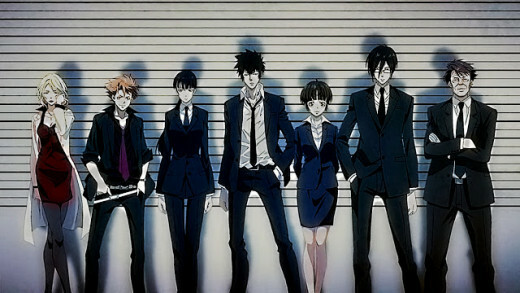 Psycho-Pass ended up being one of my favorite fall anime series of 2012. The story is originally created and is not adapted from any manga or light novel. However, there is a manga currently in circulation which focuses on one of the characters. Also, there's supposedly a second season currently being produced. With the way the series ended, it left behind an opening for a potential second season. While there is a lot of action involved, Psycho-Pass is very cerebral. There are many elements of the legal system that makes people wonder. Also Psycho-Pass can come off as a “morality play” at the same time due to many of the plot drivers in the story. FUNimation Entertainment currently has the North American rights to Psycho-Pass. Funimation still holds the North American license to Psycho-Pass, but all the subbed episodes are available on Crunchyroll because of the recent partnership between the two platforms. Psycho-Pass takes place in Japan sometime in the future. Like Ghost In The Shell, Psycho-Pass kind of has that cyberpunk feel. The Japanese government has managed to deal with crime in Japan; but, it couldn't have been possible without extreme measures. In this future, Japan lives in isolationism from the rest of the world. Japan is governed by the Sybil System which is used to scan a person's mind and personality to calculate if and when s/he is going to commit a crime. The Sybil System measures the criminal coefficient via a “cymatic scan.” The higher your coefficient, the darker your “Psycho Pass” becomes. Depending on how high your Psycho Pass is, you will be apprehended by the authorities. While Japan looks relatively safe, it has become a police state all thanks to the Sybil System. The story focuses on Unit One of the Public Safety Bureau's Criminal Investigation Division. It is revealed that a “class system” is in place. You have your Inspectors and Enforcers. Enforcers are latent criminals due to their criminal coefficients. If you are an Inspector, you could end up being demoted to being an Enforcer if your coefficient gets too high. Issues such as PTSD could contribute to an increased psycho pass. One could look at Idris Elba's drama series Luther. Hypothetically if John Luther was in the world of Psycho-Pass, his coefficient would be high due to his tactics. Thus, he would be demoted to being an Enforcer. Enforcers, off-duty, are confined to the precinct. The only time they are allowed to go out is when they're on the job. Other than that, they are trapped. Being confined to the precinct serves as being placed under “house arrest.” When on the job, Enforcers are usually treated as prisoners. The story starts off with the introduction of Akane Tsunemori, the main female protagonist, who is a newly assigned Inspector to Unit 1. She works alongside Inspector Nobuchika Ginoza who keeps his emotional distance from the Enforcers. Akane takes a crash course in regards to the Sybil System and is introduced to the “Dominator” which is a high-tech handgun issued to all Enforcers and Inspectors that is controlled by the system itself. As the series progress, the main antagonist is revealed. When watching future episodes, the Sybil System itself becomes the potent plot driver. Eventually, the dark secret behind the Sybil System is revealed. Eventually, it brings up the question: At what cost are you willing to pay for security? It presents the argument of freedom vs. security which is prevalent in American politics. 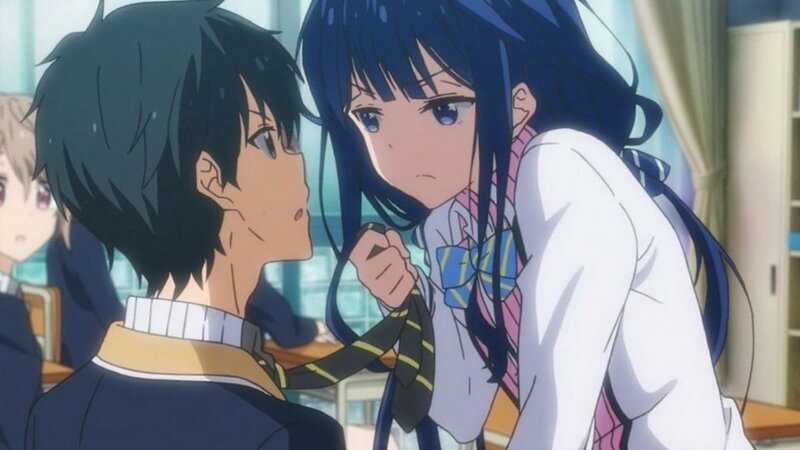 While the anime is both plot and story-driven, it is equally character-driven. The characters play a very important part to Psycho-Pass' story. 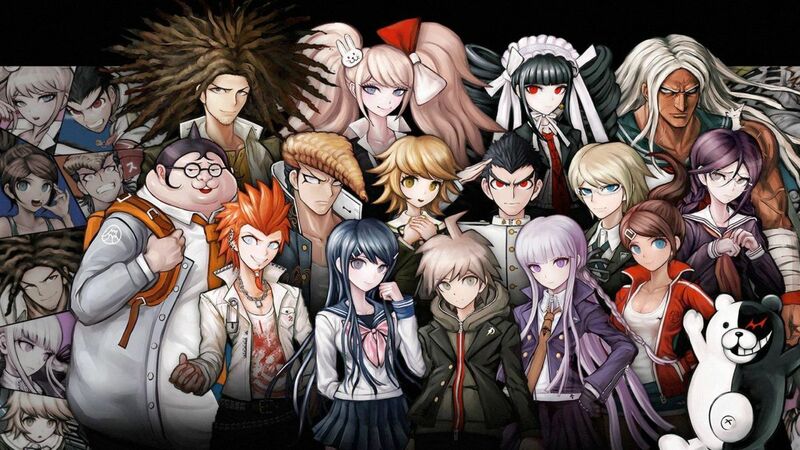 The main to major characters in the story make up the members of Unit 1. Relationships between the characters prove to be very important to the progression of the story. What makes a cast of characters let alone a team interesting is the diversity of backgrounds and personalities. Shinya Kogami – Shinya is the main male character of the series. A former Inspector, Shinya became too obsessed with his job and caused his criminal coefficient to become to high. As a consequence, Shinya was demoted to being an inspector. He can be considered, due to his young age, a young lone wolf out to catch his prey (the perpetrator). While accepting the Sybil System and living the rest of his life as an Enforcer, Shinya still clashes with conformity. One could compare him to Spike Spiegel to Cowboy Bebop. He comes off as the semi-rugged underdog. Shinya is perhaps the most important character in the story. Akane Tsunemori – Akane is the main female character of the series. She forms a deep friendship with Shinya and fellow Inspector Nobuchika Ginoza. But, she is torn due to their differences in views as Shinya questions Sybil while Nobuchika blindly follows Sybil (his true feelings are revealed later in the series). In any police story, there's usually the introduction of a rookie detective. Akane balances out the cast in that capacity. She plays the proverbial rookie who graduated from college. Nobuchika Ginoza – Nobuchika comes off as a major protagonist. He is the former partner of Shinya when the latter used to be an Inspector. In the story, he comes off as being cold and callous towards Enforcers and everybody else who has a high enough coefficient. His role in the story is the police officer who is strictly by the book. Tomomi Masaoka – While Psycho Pass doesn't focus much on robotics, Masaoka joins the cast as the cyborg cop. Also a former Inspector, Masaoka got demoted to being an Enforcer. He is the oldest and most experienced of the team. Masaoka comes off as being the proverbial seasoned old-school police detective. Yayoi Kunizuka – Another Enforcer of Unit One and second female of the group, Yayoi is the stoic and collected member of the group. Shion Karanomori – The third female of the group, Shion works as an analyst. She plays the role of providing backup and data analysis. Shogo Makishima – The primary antagonist of the series, he is the person that Shinya wants to kill. Though he doesn't appear until a few episodes later into the series, Makishima ends up being the catalyst to questioning the Sybil System let alone the moral implications and overall effectiveness. Due to being “criminally asymptomatic,” Makishima proves to be quite the formidable villain who seems to be several steps ahead of Shinya. Should The Sybil System ever be created and enforced in real life? This is perhaps one of the best anime series I have come across so far let alone in 2012. There is so much depth and so many layers to Psycho-Pass. It is one of those series that has something for everybody. Students majoring in law or political science can talk about and debate the Sybil System, students majoring in criminology or law can talk about and debate the aspect of criminal coefficients, students majoring in anything regarding to international studies can talk about Japan's isolationism, and so forth. For everybody else, Psycho-Pass has quite the deep story for anybody that is looking for something with a solid story. Action fans can appreciate the gun battles and hand-to-hand fights. If you are looking to watch or show for anime night or anime weekend, pick out Psycho-Pass. After watching Psycho Pass, I enjoyed it altogether. The soundtrack of Psycho Pass made me enjoy the series even more. If there's one reason to look forward to the series, it would be the opening and ending theme songs that play during the first half of the series. Halfway through, the soundtrack changed; but, I preferred the first opening and ending. The first opening is “Abnormalize” by Ling Tosite Sigure and the first ending is “Monster With No Name” by EGOIST.